Dinner has always been a meal that I love preparing. I delight in the hunt for a delicious recipe, but now that we have added a third family member, I haven't quite figured out how to master both a hungry husband and baby. 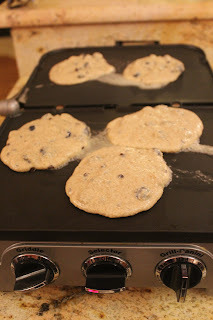 As I was scouring through my pantry last night, I came across our favorite weekend pancake mix and thought...hmm, we both love pancakes, they are easy, and I don't even have to go to the grocery store. The hubby and I L-O-V-E to make pancakes on the weekends but there was no reason I couldn't surprise him with a favorite weekend tradition during the week, right? I started with our favorite pancake mix. Our family prefers these buckwheat beauties. 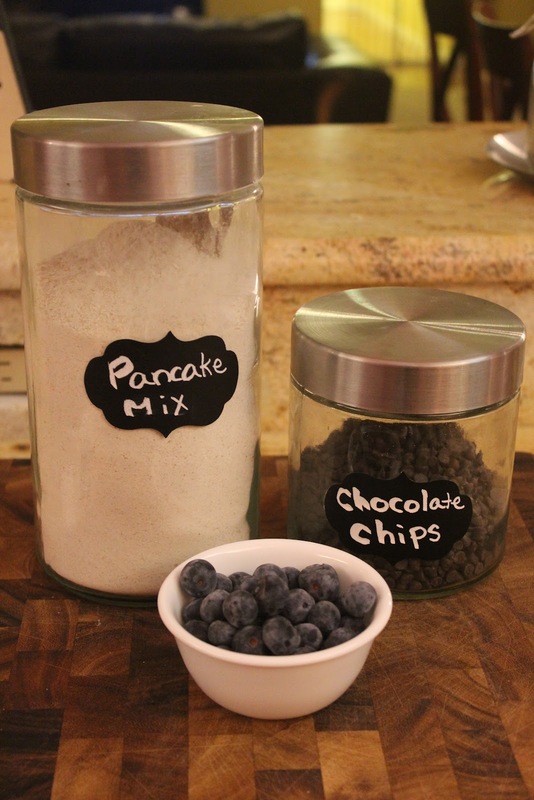 Of course no pancake is complete without a dash handful of chocolate chips and blueberries. I added the goods and mixed it all together. Placed them on the piping hot griddle. At this point we were dancing around in delight as the kitchen was filled with the sweetest aroma. 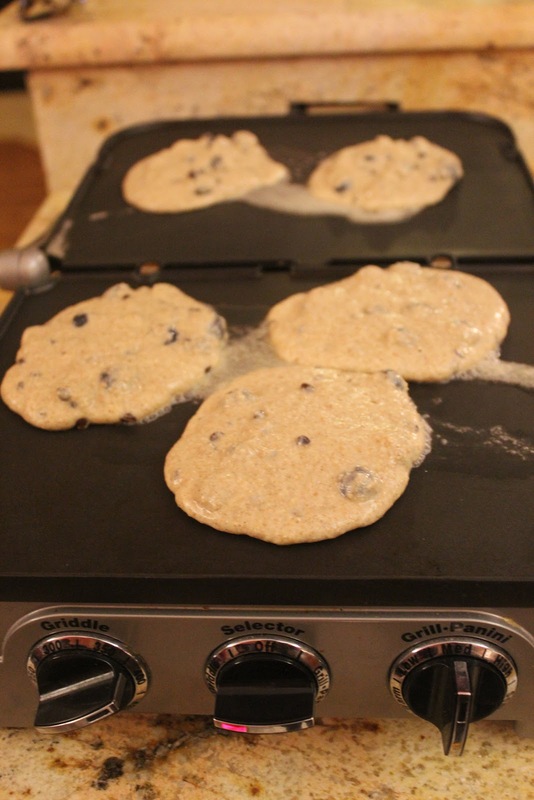 And Voila...delicious blueberry, chocolate chip pancakes for dinner. Dinner in 10 minutes. Beat that Rachael Ray.